Aruba’s earliest inhabitants arrived in small vessels about 400 years ago from the South American mainland. These first Indians were hunters and gatherers who lived in small scattered groups. The crop-growing Caquetio Indians of the Arawak tribe arrived about 1000 AD and settled in three large villages. The first European to land on Aruban shores was the Spanish explorer Alonso de Ojeda, who is thought to have arrived about 1499. The Spanish had exported the Indians to Hispaniola and put them to work in the copper mines, although many later drifted back to work in the island’s cattle- and horse-breeding industries. During the years that followed, ownership of the island changed hands several times. In 1636, near the culmination of the Eighty Years War between Spain and Holland, the Dutch took possession and remained in control for nearly two centuries. 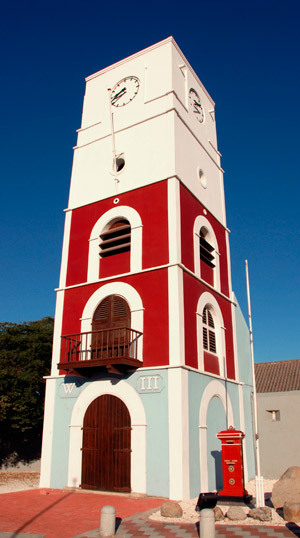 In 1805, during the Napoleonic Wars, the English briefly took over Aruba, but it was returned to Dutch control in 1816. In 1824, gold was discovered in Rooi Fluit on the north coast. Mining was done by hand until machinery was imported. In 1872, a large smelting works was built in Bushiribana, followed by another site twenty-five years later in Balashi. Gold mining ended in 1916 when World War I broke out. Phosphate mining began in 1879 and Aruba exported the raw material until 1914. Other commercial endeavors have included the breeding of cochineal, a cactus insect that produces a coloring agent; watapana tree pods which contain tannin; minor cultivations of silkworms, tobacco, cotton and peanuts; and most importantly, the cultivation of aloe and oil refining. At the beginning of twentieth century, Aruba’s economy was largely dependent upon aloe and one-third of the island was covered with plantations. With clay moisture-retentive soil yielding a product of superior quality, Aruba would ultimately become the largest exporter of aloe in the world. In 1928, Royal Dutch Shell built the Eagle Oil Refinery, followed by Lago Oil and Transport Company Ltd in San Nicolas. In 1932, the Standard Oil Company of New Jersey (Esso, now known as Exxon) took over Lago. There were more than 8,000 employees at the peak of refinery production in 1949. 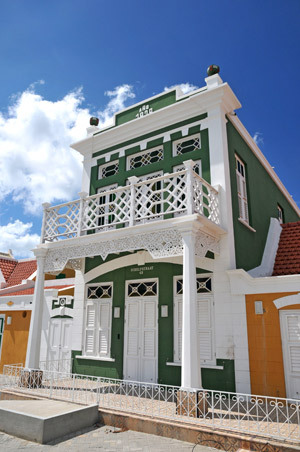 A glimpse of Aruba from Indian inhabitation through colonial times and into the modern era can be seen at historical homes, cultural sites, and museums.